Irish trade unionists are marking the centenary of the 1913 Dublin Lockout, the most significant labour dispute in Irish history. 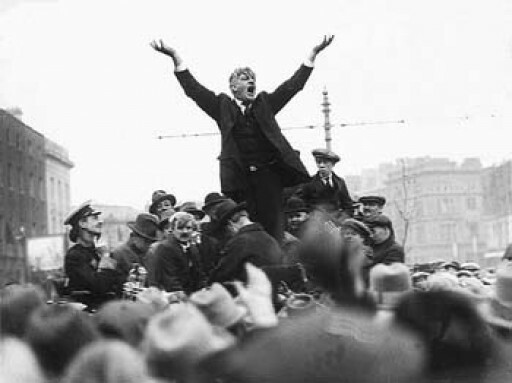 Led by ‘Big Jim’ Larkin, the people of Dublin’s slums fought a five-month battle with the city’s major employers over the right to union recognition. It was a fight that affected 20,000 workers and their 80,000 family members, and included deadly street battles with police. The Lockout, which began in August 1913, was no spontaneous dispute. It was a conscious attempt by businessman and media magnate William Martin Murphy to nip the growing power of the newly formed ITGWU in the bud. The Irish Transport and General Workers Union was formed by Larkin in 1909 and by 1913 it had won several improvements for members across Ireland. Ireland in the first two decades of the 20th century was experiencing major political upheaval, with suffragettes, radical nationalists and republicans organising powerful movements for change. With brutal working and living conditions, the radicalisation among working people that took place in Dublin during this period – led by Larkin and fellow socialist and trade unionist James Connolly – was little wonder. Dublin in 1913 was a city of slums – of impoverished people living in squalor in over-crowded tenement housing. Shortly after the Lockout began in August 1913, two overcrowded four-storey tenements on Church Street collapsed, killing seven people. Overcrowding, malnutrition and poor sanitation meant disease thrived, with the most dreaded being the deadly tuberculosis. A Census in 1911 found that Dublin had a mortality rate as high as Calcutta’s, and that one in five deaths that year was of a child under the age of one. Dublin lacked an industrial base and its workers were mainly unskilled and employed on a casual basis. Around 50,000 people depended on work on the docks, in transport, the building trade and a limited number of factories and workshops. Labourers could be replaced at a moment’s notice from a pool of thousands, many from the countryside, who carried with them the recent memory of the Famine. There was a readiness to work for any wage and in any conditions. Unemployment was 20%, and workers were often paid their wages in pubs. This was the city into which Larkin arrived in 1909. Born in Liverpool, Larkin joined the National Union of Dock Labourers (NUDL) in England. He led the successful dockers’ and carters’ strike in Belfast in 1907 – during which the display of Protestant and Catholic working-class unity shook the Belfast establishment. Larkin fell out with the NUDL leadership in 1908 and set up the ITGWU in 1909. By 1913, the ITGWU operated out of Liberty Hall in Dublin with a membership of around 10,000, and The Irish Worker, launched in 1911, had a circulation of 90,000. Larkin was a charismatic and powerful orator who was fiercely loved by Dublin’s working people. A syndicalist, Larkin was especially adept at using the ‘sympathetic strike’ to win better conditions for workers. The sympathetic strike was when workers acted in solidarity with striking workers by refusing to deal with companies whose employees were on strike, and the tactic was effectively used by the ITGWU between 1909 and 1913 in Cork, Derry and Wexford. One major employer who was paying close attention to the ITGWU’s success was businessman William Martin Murphy. Murphy owned the Irish Independent newspaper, Clery’s Department Store, the Imperial Hotel and the Dublin United Tramways Company, among other interests. In 1911, Murphy formed the Dublin Employers’ Federation which drew together more than 400 bosses into a powerful organisation intent on smashing the ITGWU. Murphy fired the first shot in the dispute in 1913 by sacking around 40 workers in the Irish Independent after literally offering them the choice: “Your union or your job”. In July he forbade transport workers in the Tramways Company from being ITGWU members. He warned his staff a strike would fail, saying company leaders would have three meals a day regardless of the outcome, but “I don’t know if the men who go out can count on this”. In a planned challenge to the ITGWU, on 21 August more than 100 workers at the Tramways Company received a dismissal notice. As large numbers travelled to the Dublin Horse Show on 26 August, drivers and conductors stopped the city’s trams and walked off. Larkin called on workers in other companies owned by Murphy or dealing with him to join the strike in solidarity. James Connolly, then ITGWU secretary in Belfast, was brought to Dublin to help run the strike. 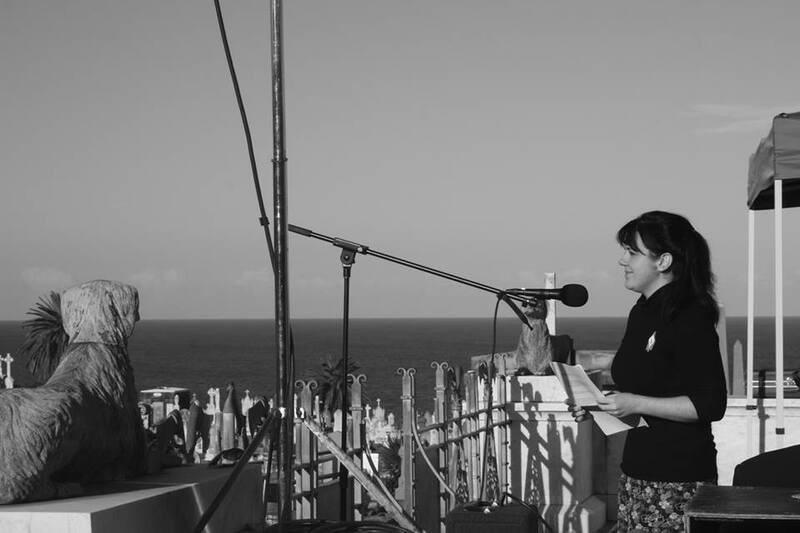 On 31 August, Larkin addressed a banned demonstration on Sackville St – now O’Connell St – from the balcony of Murphy’s Imperial Hotel. Connolly and other leaders had already been arrested, and Larkin too was immediately. The Dublin Metropolitan Police baton-charged the crowd so violently that the day became known as Bloody Sunday – the first of three ‘Bloody Sundays’ in Ireland in the 20th century. Two men – James Nolan and John Byrne – had their skulls fractured by police batons and later died. An ITGWU representative from Dun Laoghaire, James Byrne, died in November following a hunger strike in Mountjoy jail. Another striker, 16-year-old Alice Brady, was shot dead by a scab as she returned to her home with a donated food box. Tension between the police and workers rose, with police smashing up the tenements by night. 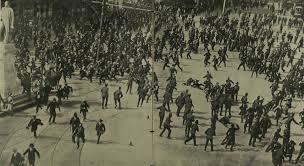 Rioting and street battles with police took place across the city throughout the Lockout, leading Connolly to found the Irish Citizen Army (ICA) as a workers’ self-defence organisation. At a time when women in Ireland were still fighting for the vote, the ICA accepted women as full and equal members. As thousands of workers were attending the funeral of James Nolan on September 3, the Dublin Employers Federation met and issued the “pledge” document – which employees would be forced to sign or face immediate dismissal – and the strike became a lockout. I hereby undertake to carry out all instructions given to me by or on behalf of my employers, and further, I agree to immediately resign my membership of the ITGWU (if a member) and I further undertake that I will not join or in any way support this union. Thousands of workers refused to sign – including many who were not ITGWU members. Rosie Hackett, a co-founder of the Irish Women Workers Union in 1911 with Delia Larkin, Constance Markievicz and others, organised women in Jacobs’ factory in support of the strike. Other major bosses joined the Lockout and by the end of September, 20,000 workers were locked out for refusing to sign the pledge. The ITGWU paid strike wages but it wasn’t enough and hunger and desperation set in. Soup kitchens were run from Liberty Hall, union headquarters. The British Trade Union Congress voted in September to provide food and material assistance, with more than £150,000 donated from unions in Britain, the US and Australia. On 28 September a ship arrived from Britain with 60,000 ‘family boxes’ of food for the striking workers, which provided a vital morale boost. Larkin spent several brief periods in jail for sedition and incitement, and between these periods he spent time in England in September and November trying to organise support. Connolly continued the organisation of the strike at home. While sympathetic strikes took place in several English cities, the British trade union leadership failed to call a general strike as advocated by Larkin and Connolly. Conferences took place between workers, bosses and a union delegation to try to resolve the dispute, but failed as a result of the employers’ refusal to recognise the ITGWU. The workers faced the full force of the police, backed up by the military, as well as a fierce campaign of vilification of “Larkinism” by the clergy and media. Hunger spread as winter deepened, and there was simply not enough resources to sustain so many workers and their families, who were beginning to starve. By January the striking workers had lost all hope and began to file back to work, with the ITGWU deciding on 18 January to end the strike. The union advised workers to return to work without signing the document if possible, but in most cases it wasn’t. But Murphy’s victory was hollow. He believed he had smashed the ITGWU but within a short period workers who had signed the pledge never to join the ITGWU did just that. The union did not have official recognition but employers were not willing to risk another lockout of union members and by 1920 the ITGWU had 100,000 members, 10 times more than in 1913. The attempt to destroy trade unionism in Ireland had clearly failed. The Lockout was a defining point in Irish history and is rightly commemorated as such 100 years later. Poet Austin Clarke wrote that Larkin’s name endures, “scrawled in rage by Dublin’s poor”. This roar of the city’s impoverished workers meant the brutal conditions they endured could no longer be ignored and began to change. Crucially, the fight put up by these workers meant that at this turbulent point in Irish history, the working class had a political voice – a voice that influenced middle-class nationalists such as Pádraig Pearse, who together with Connolly led the Easter Rising against British rule in Ireland in 1916. Both were executed within weeks of the Rising. 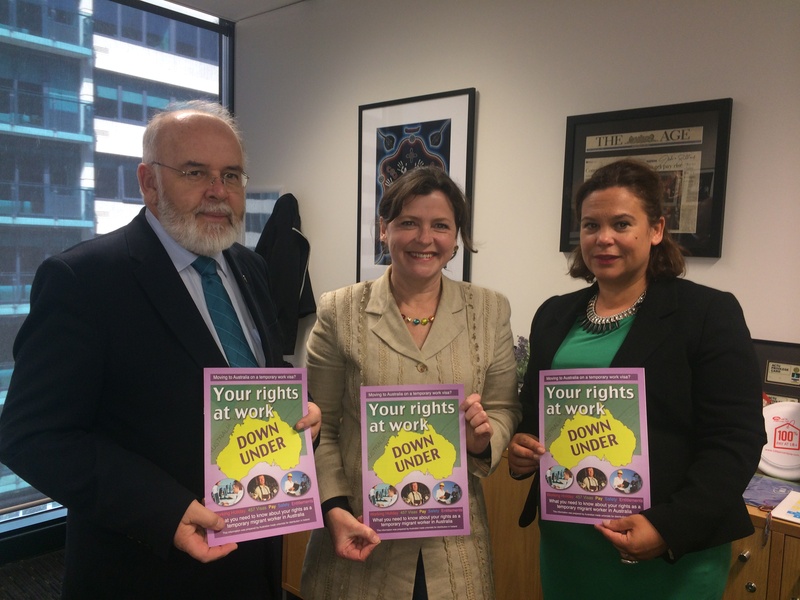 The question of union recognition remains unresolved in Ireland today, which is one of only three EU states that lacks a legislated right to collective bargaining. Poverty, unemployment and emigration have soared after five years of austerity, and the injustice of the massive public debt undertaken by the government’s bailout of corrupt banks is bitterly felt. Austerity is not working for workers and their families right across Europe, and the Murphys of today should take note. The centenary commemorations of the Lockout during the current crisis are helping a new generation understand the meaning of the central slogan used by the striking workers in 1913 – that ‘an injury to one is an injury to all’ – as they organise to defend hard-won working and social conditions.